The Student Portal is where students can take online assessments. SchoolCity SUITE offers students a variety of tools that may be available for an assessment. Available tools are determined by the Test Administrator and/or the Test Creator. This document will review the tools that may be offered during an online assessment. Toolbox: Click on the toolbox icon to open and select the tools and calculator you wish to use. Check the box(es) of the tools you want. Uncheck a box to put the tool away. Then click on Close. You will need to select the tools again when you move to the next item. 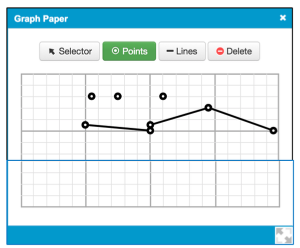 Graph: You can use virtual graph paper to add points and form lines. Highlighter: Highlight text in a passage. After enabling this tool, select some text and a set of color buttons will pop up. Choose yellow, pink, or blue to create the highlight. To undo the highlighting, select the text again, and choose the white highlighter. Line Reader: This is an adjustable, movable box (orange) that can help you track text more easily. Click the padlock icon on the right to lock the reader in one place, so you can scroll through the text while using the line reader. 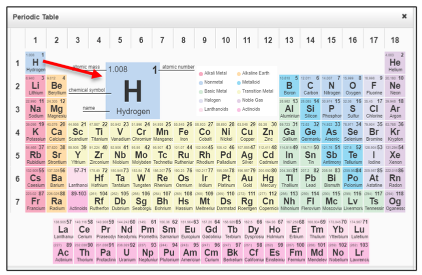 Periodic Table: This is an interactive periodic table. Click on an element to enlarge it and see a more detailed view. Protractor: The protractor is transparent so you can move it over a question to measure angles. 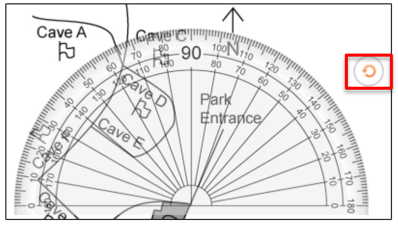 You can rotate the protractor by clicking and dragging on the curved arrow in the circle. Ruler: The ruler is transparent so you can move it over a question to measure lengths in inches or centimeters. You can rotate the ruler by clicking and dragging on the curved arrow in the circle. Calculators: The three levels of calculators are Advanced, Basic or Scientific. Which one(s) are available to you depends on the grade level and content of the assessment items and the policy of the Test Creator or Test Administrator. Only one may be opened at a time. Tutorials on using each of the calculators can be viewed at http://learn.desmos.com/. 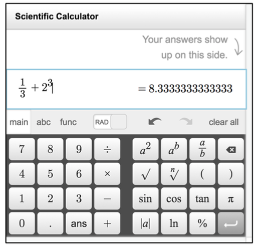 The Advanced calculator includes the ability to perform graphing. Use the “functions” button to access trigonometric and other functions. 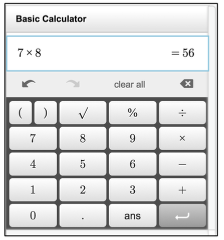 The Basic calculator is called a “four-function” calculator, but does have a square root key and the ability to group expressions with parentheses. There are also undo and redo buttons (the left and right curved arrows, respectively). The Scientific calculator can evaluate more complicated expressions and includes trigonometric functions. Color Contrast: The Color Contrast icon displays to the right of the Toolbox. This allows you to select different colors for how text is presented on the screen. Select your color choice and click Close. You can change the color contrast at any time during the test. Zoom: The Zoom icon displays to the right of the Color Contrast icon. You can increase or decrease the text font size by clicking on the magnifying glass next to the smaller or bigger A. The middle A returns the text back to the original size. Click Close when the font size is correct. Toggle Full Screen: Click on the two arrow icon to close full screen view. Click on the four arrow icon to open full screen view. Translation Settings: If the Translation tool has been enabled, select the preferred Language from the drop down menu, and select which Text to translate. Click Apply to display your choices. Language Tools: The Language Tools appear to the left of the Toolbox icon. Audio Settings: Click the speaker button to open the Audio Settings window. Volume controls how loudly or softly the text is read aloud. Speaking Rate controls how fast the text is read aloud. Accent determines in what language the text should be read. Set Accent to “Spanish” if you have items written in Spanish to ensure they are pronounced correctly. This setting will not perform any translation. 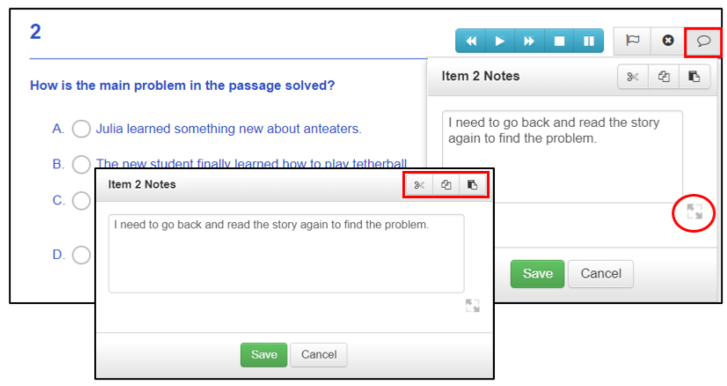 Text to Speech controls: Text to Speech may be enabled for the passage only, the questions and answers only, or the whole assessment. Use the buttons as described to have the text read aloud. 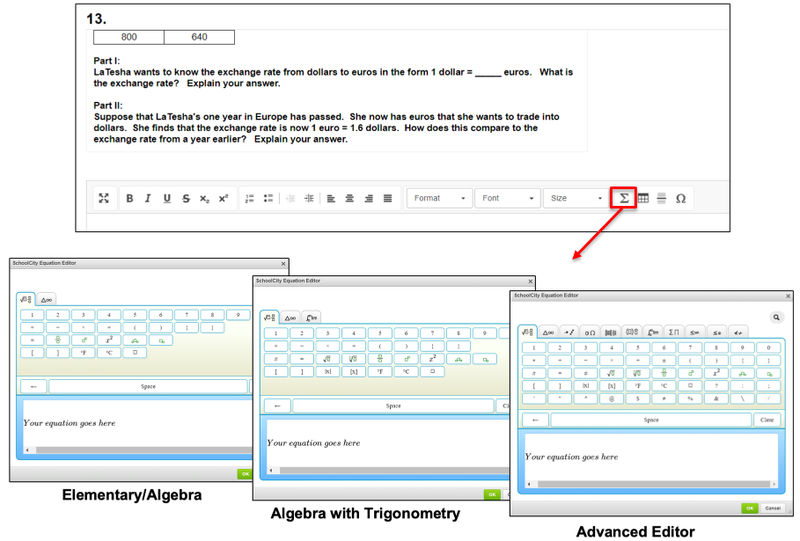 Some tools are specific to each item: Flag, Answer Eliminator, Notes. Flag: Click on the Flag icon to flag an item for attention. The flag will turn green. Click again to remove the flag. You can use the items filter menu at the upper left to see just those items you’ve flagged. You’ll also be reminded when you complete the test that there are flagged items to review before submitting your test for scoring. Answer Eliminator: Click on the circle with an X button. It will turn orange. Then click on answers you want to eliminate. Click the same answer again to remove the cross-out. When you have finished eliminating answers, click the orange eliminator button to allow you to select your desired answer choice. Note: Click on the talk bubble to make a note to yourself and/or to your teacher. The note is moveable and resizable. Click on the diagonal arrows to resize. Click and drag the note to move it to another location on the screen. There are icons for Cut/Copy/Paste in the upper right hand corner. Click on Save or Cancel to close the note. Equation Editor: In a Constructed Response question, the Equation Editor is part of the CKEditor text box formatting tools. There are four levels of editors: Elementary, Algebra, Algebra with Trigonometry, and Advanced, one of which will be enabled for the assessment. Write the equation in the space provided and click OK to enter it into the text box for scoring. Drawing Tool: For some Constructed Response items, a drawing tool may be enabled. 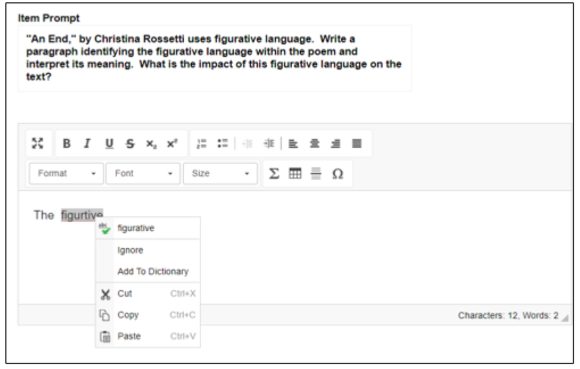 Constructed Response items can be text-only, drawing-only, or have both text and drawing options. You can freely sketch and create shapes using basic drawing tools. 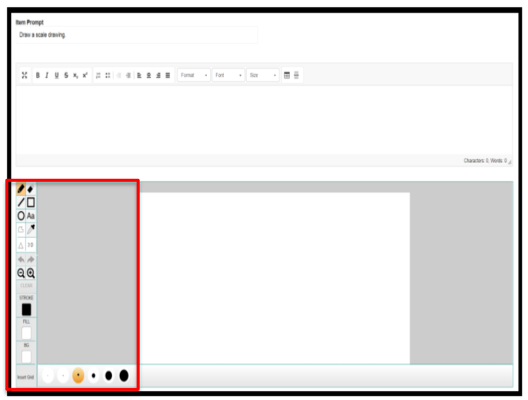 The CKEditor for both Constructed Response and Writing Prompt items allows you to easily insert special characters, such as non-English language letters by using the omega toolbar button. Spell Check: When responding to a Constructed Response or Writing Prompt item, and a word is underlined in red, right click on the word. The Spell Check tool will pop up. Click on the correct spelling of the word to insert it into your text. Pop-up: If a Pop-up has been created for the text in the assessment, a word or phrase will be underlined. Click on the underlined word or phrase and a Pop-up box will appear with a synonym or definition for that word or phrase. Click on the x in the upper right corner to close the Pop-up. Rollover: If a Rollover has been created for text in the assessment, a word, phrase, or sentence will have an arrow in the right hand margin next to the Rollover. Click on the arrow to see alternate phrasing or more information about the text. If Text to Speech has been enabled, you may have the Rollover read aloud by clicking on the blue play button. Click on the orange arrow to close the Rollover. To learn more about the Student Portal in SchoolCity, see the guides in SchoolCity, Student Portal.